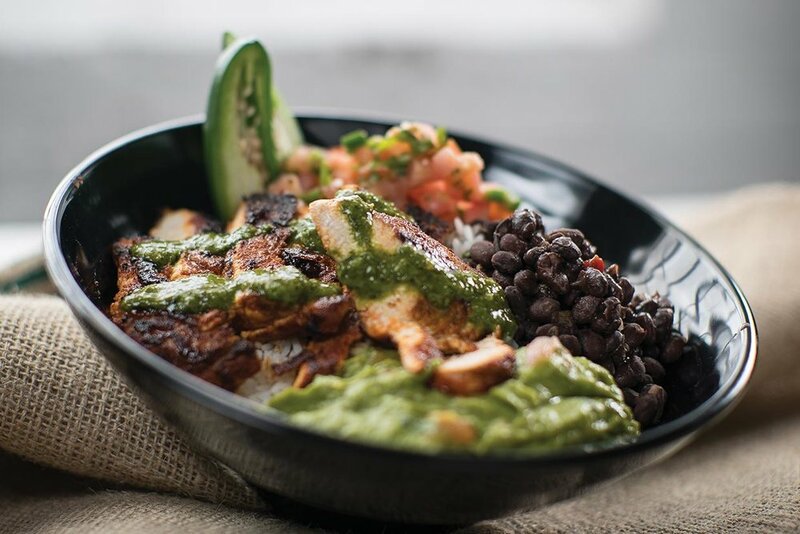 What do a Smokehouse Sandwich, Buddha Bowl and Mexican Burrito have in common? They’re just a few of the new items District 28 Bar Bistro is introducing with its freshly updated menu. The Leslieville restaurant, known for its all-day atmosphere from morning coffee to after-work snacks, will roll out 10 new dishes on Dec. 14. "We've created a customizable menu to fit every taste," says restaurant manager Roy Erez. "It has two main categories layered with base, protein, toppings and sauces. "We've crafted a selection of signature dishes from both categories to showcase the chef’s creativity and by using fresh, local ingredients." The menu features nutritious made-to-order comfort dishes, and you also have the option to customize your own bowl or sandwich. Menu highlights include the Brisket Bowl with roasted vegetables, smoked-then-braised brisket, sautéed mushrooms and caramelized onions. The D28 burger comes served on a brioche bun with bacon, caramelized onion, cheddar cheese and house mayo. The Asian Sensation is a signature bowl with rice and grilled chicken, roasted vegetables, sauteed mushrooms and ginger teriyaki sauce. Hail Kale Caesar salad comes with house seeds and chopped bacon. "Whether you're coming in for a morning coffee, a day meeting, lunch or an after-work drink, locals can expect a comfortable environment with friendly service and great food." District 28 is located at 28 Logan Ave. and open Monday to Friday from 8 a.m. to 6 p.m. Visit district28barbistro.ca for more information.